04/03/2019 - Mother Nature is awakening early this year due to the high daytime temperatures. 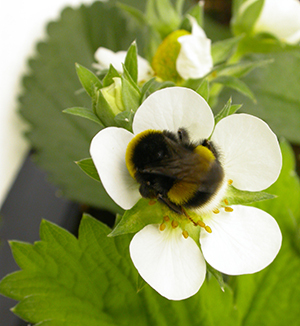 Strawberry growers cultivating in tunnels are already ordering bumblebees from Biobest. Ordering in good time ensures availability. At Biobest we offer bumblebee hives in various sizes, depending on the length of the tunnels. Our Bee-Coat helps to maintain the bumblebees’ temperature during cold nights.